Hester Street is a non-profit that works with community groups to ensure more equitable urban planning and development. Amidst rapid growth in the organization, the team recognized the need to unify and clarify its brand and communications strategy to better articulate their full offer. We leapt at the opportunity to help this crucial social justice organization focus their communications, reach new audiences and make an impact across the U.S.
We went on an inspiring journey to discover what makes Hester Street unique, challenges they face and the organization’s future strategy. Identifying gaps and opportunities in HSC’s communication, we recommended a set of strategic actions such as prioritizing people’s skills to explain the organization, a flexible and meaningful identity system, and a set of messages for different situations. Our designers iteratively developed a new identity system and an accessible, streamlined website, and our strategists crafted and tested a multi-level messaging platform, all inspired by our research findings. 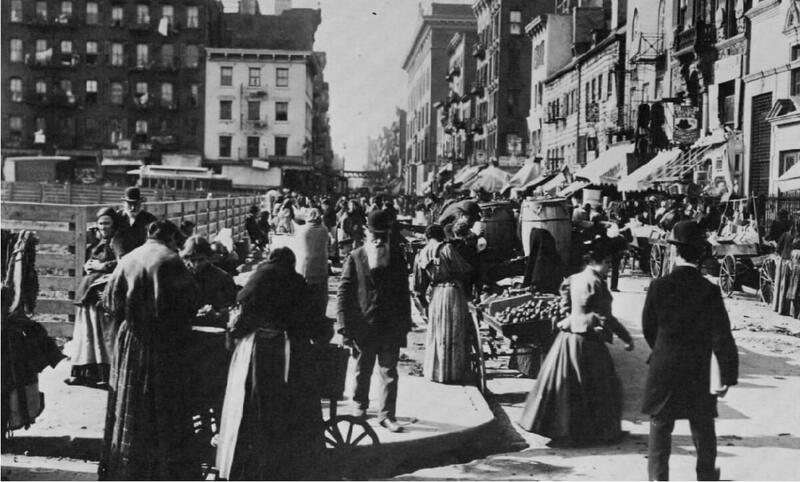 Norfolk and Hester Street around 1898. 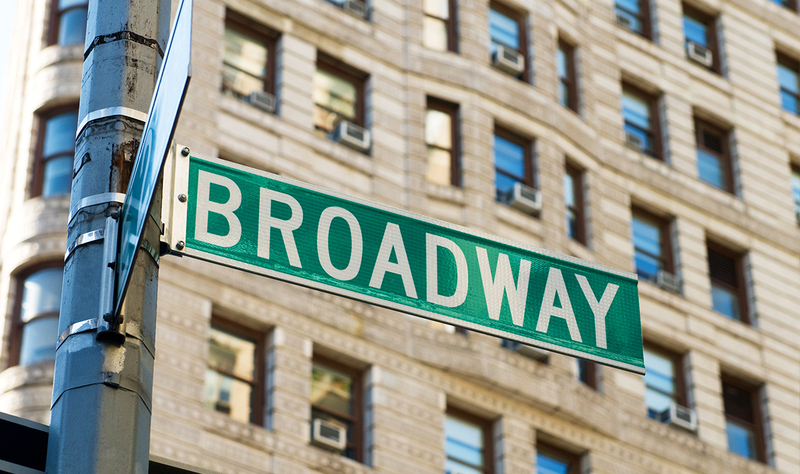 We renamed the organization to simply, ‘Hester Street’, removing the Collaborative moniker, which did not add much and even confused perceptions of the organization. 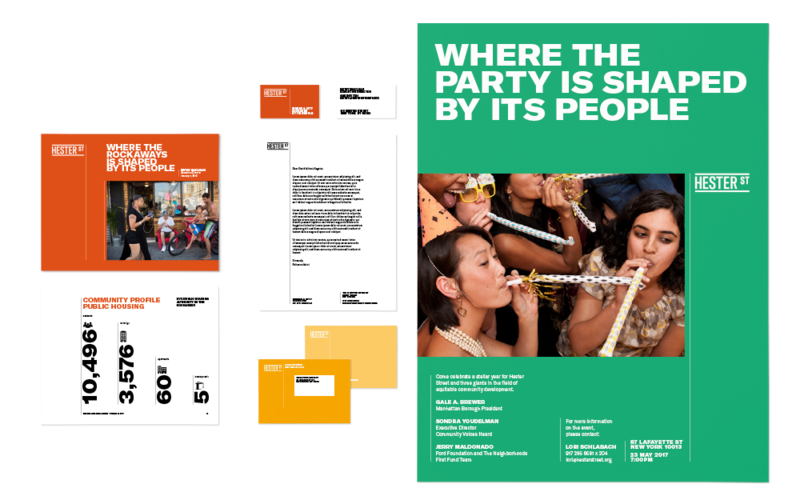 We complemented the new brand with a strapline that simultaneously expresses the brand promise, a sense of place, and the ownership of the community for their built environment: ‘Where the people shape their city.’ A short descriptor adds further detail for written communications, and an elevator pitch provides all staff and supporters with a go-to phrase for use when engaging with other people – an integral part of their process. 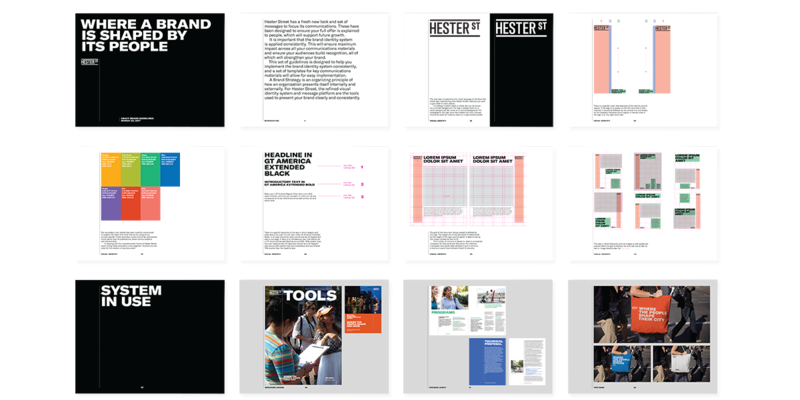 Hester Street’s communication materials got a fresh new look and feel. 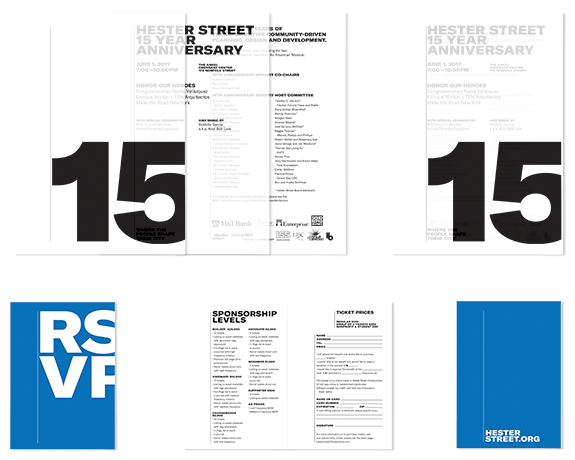 A new logo was inspired by the visual language of the street; the structure and layout of materials are drawn from the vertical lines of the urban landscape, a true testament to Hester Street’s roots in supporting equitable urban space. We paired a warm and vibrant color palette with a clean and clear black-and-white base, and a bold and modern typeface, GT America. Stylized photography demonstrates the focus of Hester Street’s work – the human beings within the city. The new website is structured to reflect Hester Street’s work and provide a rolling record of events and projects, streamlining their documenting process. The team and their skills are prominent on the site, helping people to understand their complex but holistic offer.